LWS is a nonprofit. Our largest expense is compensating the wonderful teachers and staff who make the school possible. For all of us, the unique Education for Life philosophy is a mission to which we have dedicated our lives. We receive salaries that are roughly 70 percent of the average for teachers and staff in this area’s public and private schools. Yet, because of our low student-teacher ratio, tuition covers just 80 percent of total expenses. So we must rely on yearly donations to cover the rest. 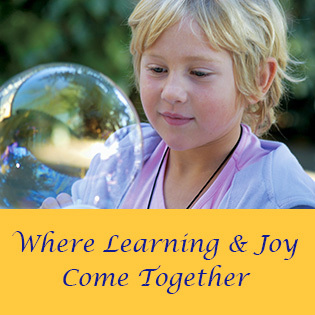 LWS teaches children to interact, respect, and engage with people of all ages, backgrounds, and abilities. This requires that LWS have a student population of children with diverse ethnic backgrounds, academic abilities, and economic levels. We give scholarships to students who would otherwise be unable to afford our tuition. How many scholarships we are able to give depends entirely on the donations we receive. 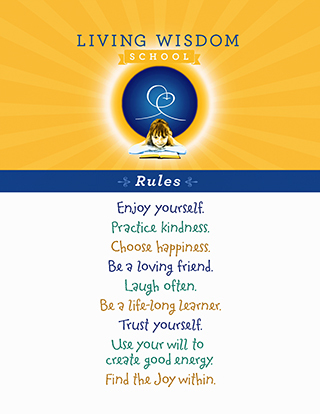 We at Living Wisdom School have a vision of offering these teaching to new and existing schools everywhere, so that children can begin benefitting from them everywhere. This broad outreach requires that we train teachers in the Education for Life principles and offer them opportunities to gain skills through their own, direct experience. Our school trains interns who work under the guidance of experienced Living Wisdom teachers. The number of interns we are able to accept depends entirely on donations earmarked to fund this effort. The number of students we are able to accept is limited by the size of our school building. Our classes fill quickly, and have a waiting list each year. Our long-term vision is for a much larger school that includes the high school grades. Naturally, this will require a much larger campus. To accomplish this goal, we will need to purchase a location, or secure a large enough endowment fund so that we can securely sign a long-term lease. This is, obviously, a long-term quest that will require major funding. If you, or a foundation you work for, would be like to take part in this effort, please contact us (see below). Our children’s and their children’s lives will benefit greatly from having Education for Life spread through society. A larger campus will enable many more children to benefit from our proven methods of helping children achieve success in academics and in life. And a larger school will give parents and educators a more visible example, and hope that a truly uplifting education for children is possible. Last, but not least, it will enable us to train teachers who can carry this inspiring system elsewhere. If you would like to discuss opportunities to help in any of these areas, please contact us directly at the school: 650-462-8150. Thank you! Donations by check can be made out to “Living Wisdom School” and sent to the school at: 456 College Avenue, Palo Alto, CA 94306. Thank you. Living Wisdom School is a tax-exempt corporation organized under Internal Revenue Section 501 (c) (3). Your contribution is tax-deductible.